Join the Blizzard Fan Club and receive a coupon for a buy one get one free Blizzard, an extra-special coupon on your birthday, a surprise on your anniversary and more. Dairy Queen is celebrating free cone day on March 15 at all Dairy Queen & DQ locations in exchange for a small donation to CMN hospitals, donations are not required. Print coupon and receive a $1 discount on the purchase of a Premium Fruit Smoothie or Julius Original beverage. Enter your zip code and select your preferred location for a free new mini, small or medium blizzard treat when you buy a medium blizzard treat. 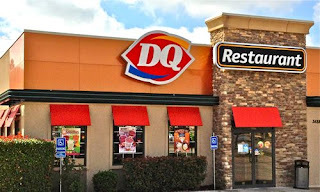 Dairy Queen (also known as DQ) is an ice-cream shop and fast-food restaurant franchise in the United States and Canada.